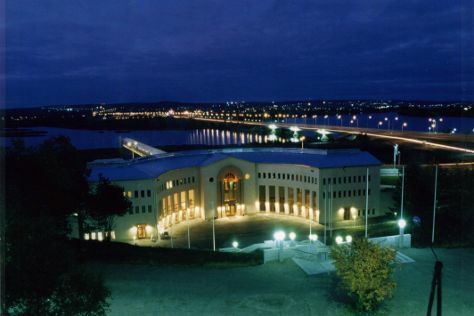 Popular historic sites such as Rovaniemi Church and Church of Sodankyla are in your itinerary. Do some cultural sightseeing at Arktikum and German Soldier s Cemetery. Take a break from Rovaniemi with a short trip to Amethyst Mine Lapland in Luosto, about 1h 35 min away. There's much more to do: look for all kinds of wild species at Wildlife Areas, see Santa Claus Office, stop by LAURI, and enjoy some diversion at Snowman World Igloo Hotel. To see where to stay, ratings, reviews, and tourist information, read our Rovaniemi trip planner . June in Rovaniemi sees daily highs of 18°C and lows of 9°C at night. Wrap up your sightseeing on the 9th (Sun) to allow time to travel back home.